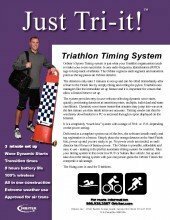 Timers like Orbiter because of Timing accuracy, ease of set up and operation, and powerful tag detections. Orbiter 24 volt power is twice as powerful as 12 volt systems. This means better tag detects. 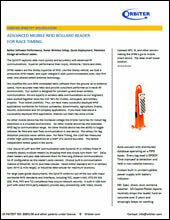 Because the software is easy to use Timers can hire lower skilled people and still provide quality service. This is proven because Orbiter rents systems to first time users successfully. No other timing manufacture is successful in having novices time races for the first time. 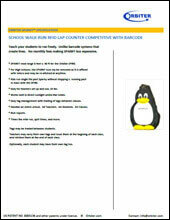 Call for a free software demo and in 10 minutes we will make you a believer too. All the for mentioned means greater profitability for you. It also provides you a great competitive advantage. A single timer can bring to the race the Orbiter timing equipment in an economy rental car. Most other systems require an expensive truck with 3 people to set up. 2. Freedom to Choose. 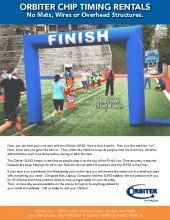 Orbiter allows Race Organizers to choose their own registration platform and results web pages. 3. Rentals. 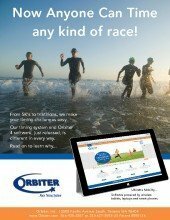 Orbiter is the only successful race timing rental platform. 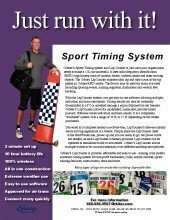 It is the only truly easy to use timing solutions. If you (1) turn the machine on (2) know who you gave the bibs to (3) make the Orbiter “beep” when runners pass…then 100% your race is safe. 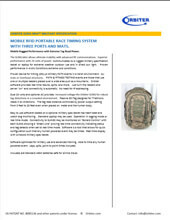 Auto detection of readers with no IP addressing required means novices can use Orbiters. Orbiter has a localized design such that an Internet connection is optional. Never lose a race by using “Reprocessing” and “Cloning” features. This allows race settings to be edited at any time. You can even run over the laptop with a car and re-down-load the original results from the detectors. Plus, Download the data in real time or during or after the event. 4. Innovation: Orbiter is the first to innovate in many ways. We are the only ones that can do PATH events. These are where you take a detector and drop them anywhere, and have point to point path events in which the detectors may be approached in any order. 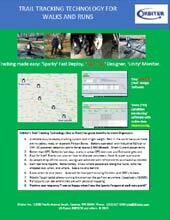 Orbiter RIC software has “condition monitoring” so the Timer can stand anywhere with a table and monitor all the detectors on a Trail Run remotely. The ability to monitor detection points allows for better planning of refreshment supplies as way stations. This is true “Space Age Technology”. 6. Orbiter offers data Cellular, that is different than a hot spot and easier to use. Our data cellular has Priority on cell towers. Similar to Police and Fire.